Learn to make Holiday Fruit and Nut Ice Cream Recipe | Eggless Praline Ice Cream Recipe with step-by-step video instructions. This delectable Holiday Fruit & Nut Cardamom flavored ice cream is swirled with creamy, sweet and salty nutty praline and candied fruits. If you ever wished you could eat ‘candied fruits’ in an ice cream form, this is your chance. Do you believe in the philosophy of celebrating each and every day in December? I certainly do. There are many reasons to love the month of December. Agreed? So if you also believe in what I just said, then we need to celebrate this day with some holiday ice-cream. 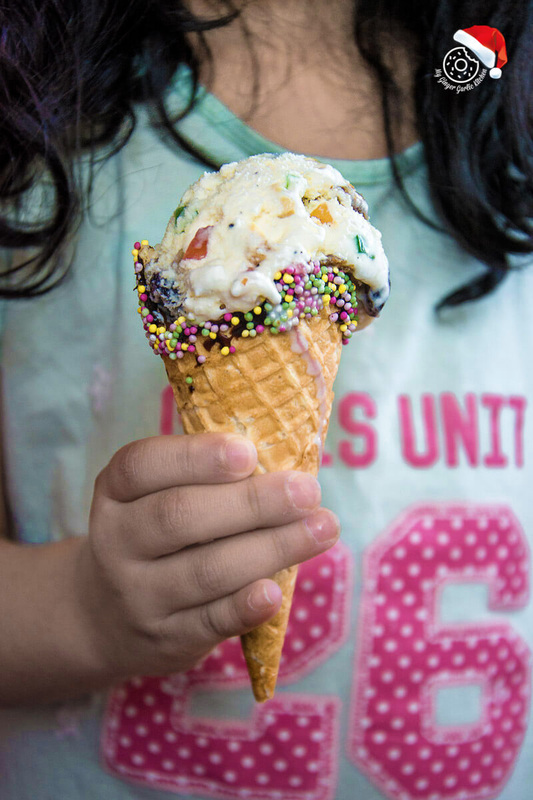 Holiday Fruit and Nut Ice Cream — If you ever wished you could eat ‘candied fruits’ in an ice cream form, this is your chance. 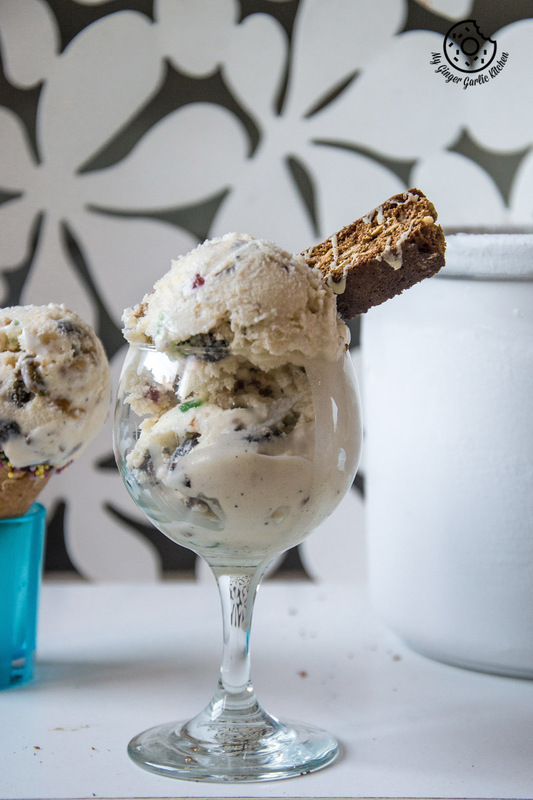 Cardamom flavored ice cream is swirled with creamy, sweet and salty nuts and candied fruits. 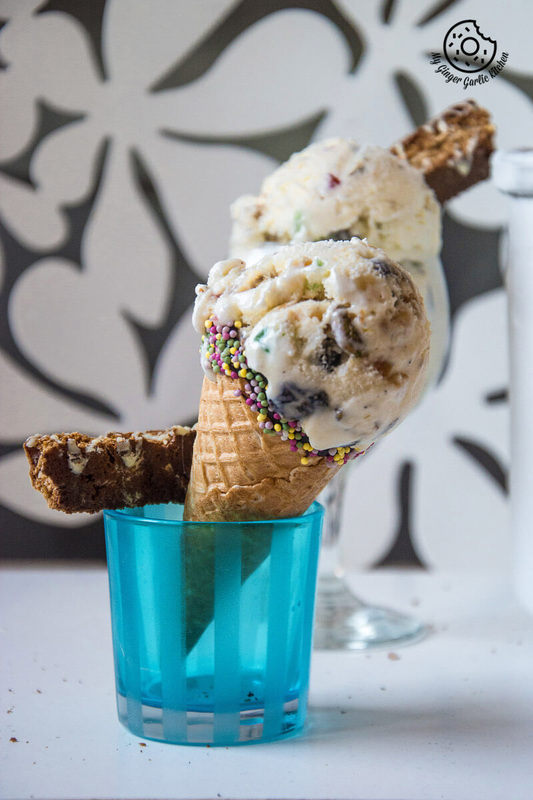 This delectable Holiday Fruit and Nut Ice Cream Recipe | Eggless Praline Ice Cream has become a traditional treat at our home during Christmas times since last year. This pretty winter ice-cream is very much foolproof. You just have to mix everything together in one bowl and you’re done. And it needs churning if you are using an ice-cream machine. But hey, no matter which way you make it, you will love it. And the good thing about this ice-cream is that it has nutty praline, so you don’t need any extra sauce or nuts for serving because this is just too good even without anything. And I would recommend you to eat it as such, to cherish the nutty and chewy texture and flavor. I did not add any alcohol for this as I have a little one who’s an ice-cream sucker. 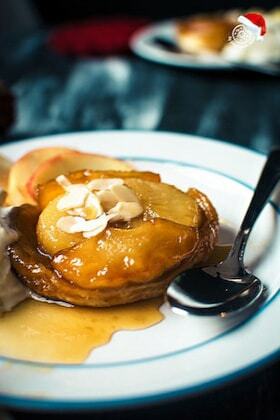 So if you are someone who loves boozy ice-cream then I would recommend you to use orange liqueur as the base for this one. This ice-cream has a lot of chewy nuts and fruits. So be prepared to go on a chewy ice-cream journey. You can sure add lesser nuts but if I was you, I wouldn’t. 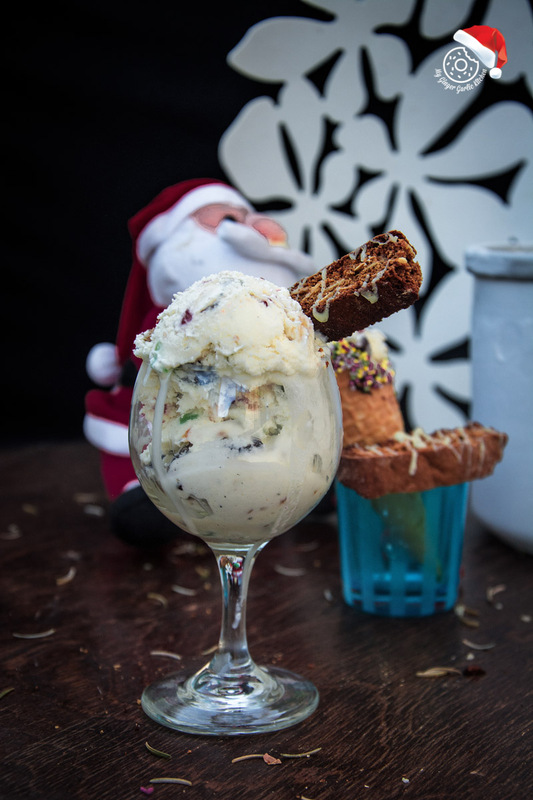 Because nuts and fruits are the beauty of this Christmas/New year wintery ice-cream. 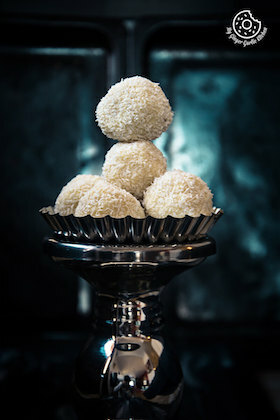 I used a traditional vanilla ice cream base to enhance the cardamom flavor, which makes it a delicious Christmas dessert. 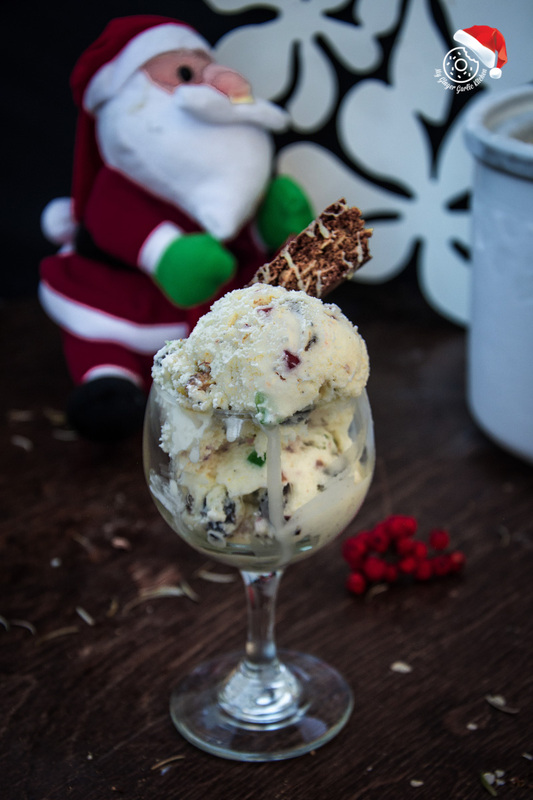 I hope you guys enjoy this recipe of Holiday Fruit and Nut Ice cream. 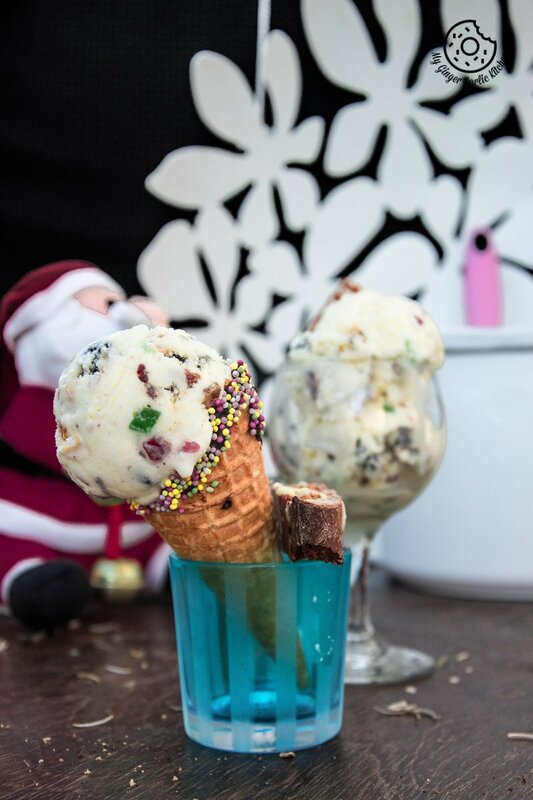 How do you make Holiday Fruit and Nut Ice Cream? It’s so basic – all it takes is about 50 minutes + 2 hours of freezing time to make if you are making it in an ice-cream machine. And only 15 minutes + 8 hours of freezing time, if you are making it no-churn. Either way, it would be delicious. If you ever wished you could eat ‘candied fruits’ in an ice cream form, this is your chance. 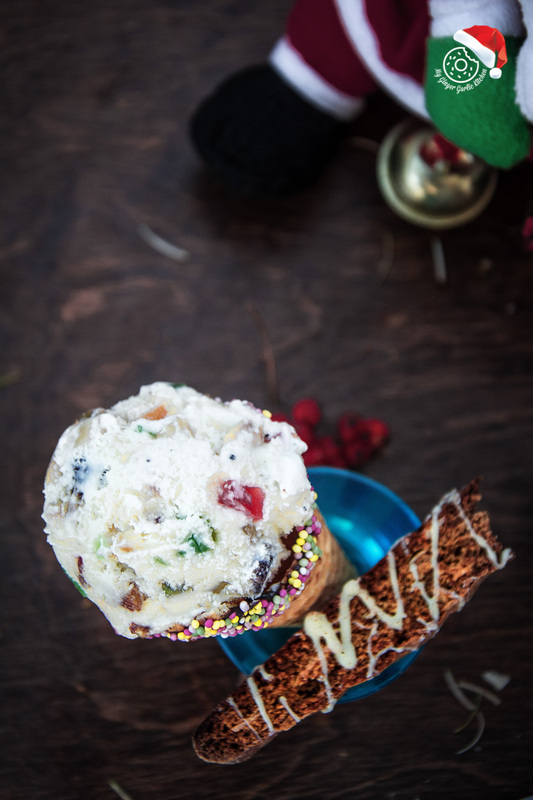 This Cardamom flavored ice cream is swirled with creamy, sweet and salty nuts and candied fruits. 2. Add butter, brown sugar and salt to microwave safe bowl. 3. Cook for 2 mins stirring after each minute until sugar dissolves. 4. Line a baking tray with non-stick baking paper. 5. Spread the combined nuts over the tray. 6. Pour butter over the nuts. Bake for 5-7 mins. Set aside to cool completely. 7. Place the whipping cream, milk, sugar, salt, vanilla, and cardamom into a large bowl and whisk on a medium speed for about 3-4 mins or until smooth and slightly thickened. 8. Pour mixture into the container of an ice-cream maker and freeze according to manufacturer’s instructions. 9. Add in the glazed nuts, and candied fruits and fold gently, just until they’re all covered. Don’t over mix. Cover with cling film and place in the freezer for 2 hours. 10. Scoop out ice-cream in a cup or cone. Enjoy with some gingerbread cookies or biscotti.